Our vinyl coated fences are available in black, green, brown or white. You have the flexibility of choosing the height. Four and five foot are most common, however, it is available in heights as low as 3 foot and as high as you choose. Don't forget, though, that most building departments will ask that residential customers not be higher than six foot. Our vinyl coated fences are built with the same strength as our aluminized fencing. The gates are also welded, and all of the posts are also set in concrete. Our installers are skilled in "dressing" the wire, which is the proper way to install chain link. We are fortunate to have installers with years of experience with our company. There are few people in this industry with the talent to correctly "dress" chain link. This fabric is only available in one gauge, which is nine gauge, however, the post sizes will vary according to your height of fence. They will not be smaller than 2 1/2" for the end or corner posts and 1 5/8" for the line posts. 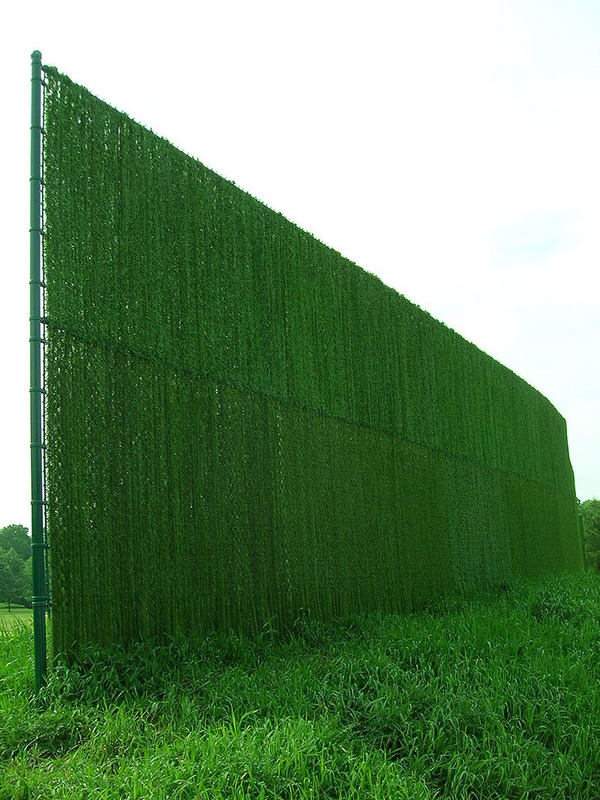 Don't be fooled by our name - Elyria Fence has been pleased to offer our commercial chain link fences for installation in the following Ohio cities for 84 years: Akron, Amherst, Ashland, Avon, Avon Lake, Bath, Bay Village, Beachwood, Bedford Heights, Belden, Bellevue, Berea, Berlin Heights, Birmingham, Boston Heights, Bratenahl, Brecksville, Broadview Heights, Brooklyn/Old Brooklyn, Brookpark, Brunswick, Carlisle Township, Castalia, Catawba, Chipewa On The Lake, Cleveland, Cleveland Heights, Columbia Station, Copley, Creston, East Cleveland, Eaton, Elyria, , Fairview Park, Fairlawn, Friendsville, Garfield Heights, Gates Mills, Grafton, Hinckley, Homerville, Huron, Hudson, Independence, Kelly's Island, Kipton, LaGrange, Lakeside Marblehead, Lakewood, LaPorte, Litchfield, Lodi, Lorain, Lyndhurst, Macedonia, Maple Heights, Medina, Milan, Monroeville, New London, New Russia Township, Northfield, North Olmsted, North Ridgeville, North Royalton, Norwalk, Oakwood, Oberlin, Ohio City, Olmsted Falls, Parma, Penfield Township, Peninsula, Pepper Pike, Pittsfield, Polk, Port Clinton, Put-In-Bay, Richfield, , Rittman, Rochester, Rocky River, Sagamore Hills, Sandusky, Seville, Shaker Heights, Sharon Center, Sheffield, Sheffield Lake, Sheffield Township, Sheffield Village, Solon, South Amherst, South , Spencer, Strongsville, Stow, Tremont, University Heights, Valley City, Valley View, Vermilion, Wadsworth, Wakeman, Warrensville Heights, Wellington, Westlake, West Salem, Woodmere. Not on the above list? If you reside in Huron County, Erie County, Lorain County, Medina County, Cuyahoga County, Northern Summit County, and western Geauga County then we probably work in your area. Give us a call at 440-323-7581, and we can quickly let you know either way. Our commercial fences, lattice, pergolas, trellises, garden arches, and arbors are also available as a do-it-yourself kit. Why settle for a poor quality product from a box store, simply because you'd like to do the project yourself? Let us know what you need, and we're happy to build it for you!